call the experienced and competent wrongful death lawyers at Adams Legal Group, PLLC for a free consultation to discuss your rights and possibilities of recovery – (304) 381-2166. Remember – we do not charge a fee, unless we obtain a recovery for your loss. 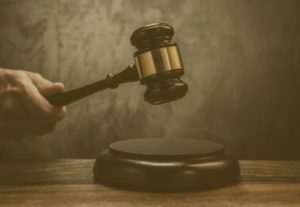 Under the applicable West Virginia Code §55-7-6(d), a civil action for the wrongful death of a loved one must be instituted in the appropriate court within two (2) years of the death of your loved one. This is known as the “statute of limitations” and is an absolute time limit on the filing of such actions. There are certain exceptions that may be applicable in very limited cases, such as the discovery rule; however, in a wrongful death case, this exception does not typically apply. The discovery rule allows for an equitable extension of the 2-year limitations period in certain injury cases, where the injury itself or the wrongful mechanism of the injury is not reasonably appreciable, because of the active concealment of the wrongdoer whose conduct was the wrongful mechanism of injury. An example of where this might apply, would be where a person goes for medical treatment and dies during the course of treatment, where the apparent cause of death is unknown or is ascribed to something other than medical error. A delay ensues between the death and the autopsy results. The results of the autopsy specify medical negligence as the cause of death. This discovery of new information, which may have been concealed or obfuscated by the original medical records may allow for an extension of the 2-year limit to file an action, such that you may have two years to file after the date of discovery of the new information. Again, this is a very limited exception and should be properly assessed in each individual case by an experienced attorney. Regardless, because of the 2-year statute of limitations, it is imperative that you consult with an experienced wrongful death lawyer as early after the death as possible, in order to allow sufficient time for the lawyer to review medical records and conduct other pertinent investigations into the cause and mechanism of death and assess whether another’s wrongful conduct was to blame. The lawyers in our Morgantown WV law office handles claims seeking recovery of damages for the wrongful death of a loved one. If you have lost a loved one on account of the negligence or wrongful actions of another party, through an accident, medical negligence, workplace injury, injury on another’s premises, or because of a defective product, please contact the competent wrongful death attorneys at Adams Legal Group, PLLC today for a free consultation to discuss your legal rights and chances of recovery for the loss of your loved one.